In the year 2017 the real estate sector have seen too many events, up and down’s. When their is a implementation of a Law come in force to make real estate sector more transparent and make the customer more empowered. Their are two major implementation was happened in 2017 – RERA & GST. Their is a more clearity in the transcation between Developer and Customer, also the client having a freedom of one click to get all the details of project on goverment web portal. With the implementation of Real Estate Regulatory Act by the Authorities, their is a security for the delivery which is the major component of the RERA Act. which gives a major relief to the customer’s worries of delivery. 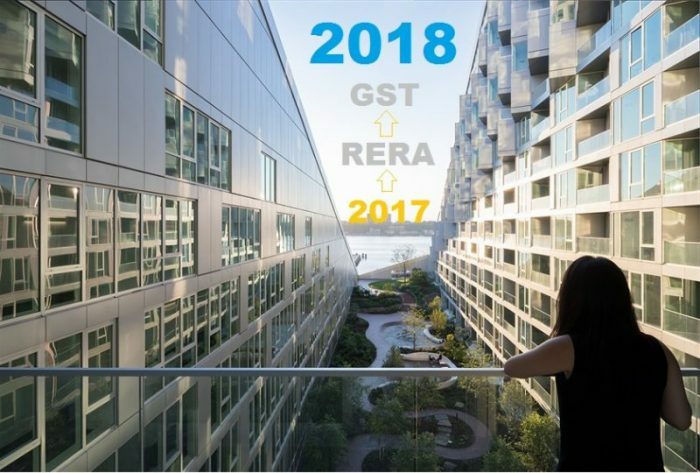 With the implementation of RERA Act, according to the real estate sectors player’s RERA Act will improve the governance, bring more transparency and accountability into the realty sector. Developers will have to disclose project related details. As per the RERA act Developers will have to transfer 70% of the money received from customers for particular project to an escrow account. These funds should be used only to cover the cost of construction. The buyer’s have to pay only for what they are getting for use – the carpet area (the area within the walls), As per the new law guidelines the developer have to charge the customers for only carpet area not for the Buildup or Super Buildup areas. In case of any structural defect or any defect in workmanship, quality, provision or service is discovered within 5 years afer the possession of a unit or apartment, such defect will be rectified by the builder at no extra cost with in 30 days. Overall talking the Real Estate Regulatory Act will give a shield protection to the customers rights, so it is a happy welcoming to 2018.